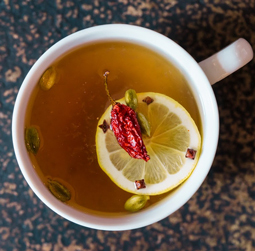 The Hottest Toddy - A recipe from Savor California, the online showcase for extraordinary gourmet foods and beverages from California. Combine bourbon, lemon juice, Caged Heat, and honey. Garnish with clove-studded lemon slice.